Otkritie, one of Russia’s biggest lenders, is being rescued by the central bank. It shows the perils of aggressive expansion and Russia’s incomplete system for winding up financial giants. The state has tried to draw a line, but the fact a systemic bank is in trouble is worrying. 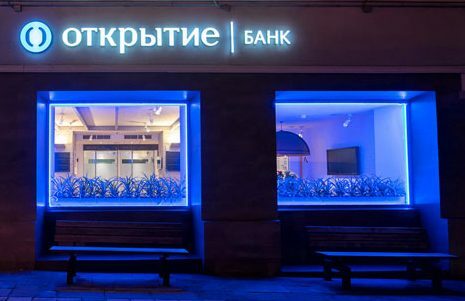 Russia’s central bank said on Aug. 29 it would invest in Bank Otkritie, alongside the country’s bank consolidation fund, without saying how much capital it planned to commit. The lender has experienced a sustained run on deposits amid worries about its loan portfolio. Otkritie’s current shareholders will see their stake diluted to a maximum of 25 percent of the group’s equity, and may later see their holding wiped out if the group is declared to have negative equity, Reuters reported. Subordinated creditors may be required to contribute to the rescue if Otkritie’s capital adequacy falls below a certain level. Otkritie reported a Tier 1 capital ratio of 12.3 percent at the end of 2016. Shares in Otkritie fell 0.5 percent to 1334 roubles as of 1020 BST on Aug. 30, having fallen 19 percent since the end of July.